This is off topic for this blog but it’s personal to me because this is about the “scene of the crime” of Casey’s suicide. 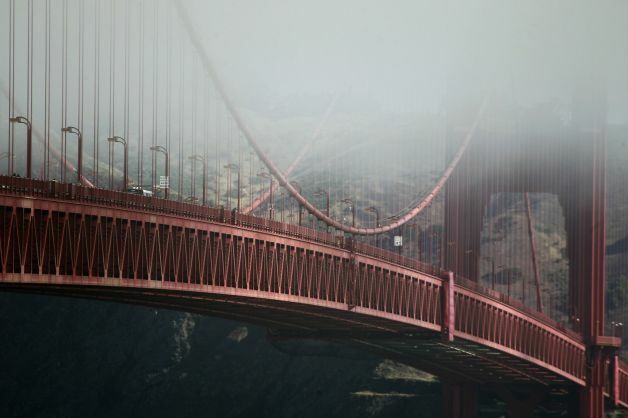 Yesterday the Golden Gate Bridge board of directors unanimously approved a $76 million funding package of local, state and federal dollars for the long-sought GGB suicide barrier. Cheers and tears all around at the board meeting. Call me cynical. This is an important milestone but I’ve watched this movie before. We had cheers and tears nearly six years ago when the GGB board voted to approve the net concept, but with no money. So why am I cynical? In my testimony to the GGB board I noted that construction projects are notorious for delays. They estimate 2-3 years. My money’s on at least 5 years. Just look at other construction projects in the Bay Area alone – the Bay Bridge retrofit, Doyle Drive, the GGB median barrier. So could we please at least string a mesh underneath – as was done in the 1930s when the bridge was built saving the lives of a number of workers – so that more people don’t die during this next phase. A cruel irony to say the least. Nonetheless this is not to take away from how far we’ve come, considering the pushback and downright ugliness we endured 6 years ago and well before that. You are a wonderful advocate and an inspiration. I am continually inspired with what you are doing to facilitate conversation to even better understand and educate others of the issues our kids face. Getting this done for the bridge is significant. At least now a pot of money may be identified. I really benefit by following your work and thank you for taking your personal tragedy and channelling Casey’s energy to help others. Thank you! Your words really mean a lot! I appreciate your honesty as always. I to am sceptical of the GGB suicide barriers being in place in 3 years. Since my daughters Marissa’s death 12/17/2001 I have sued the bridge to get barriers,went to numerous board meetings,wrote letters,donated money,help to educate others on teen depression all to spare another parent or family member from the grief and sorrow we have endured and the cost of our beautiful daughters Casey and Marissa and countless others.They say seeing is believing. I pray that one day in the near future we will be able to see the barriers constructed. Until then I won’t, hold my breath. Thank you John for being able to continue to endure the bridge board meeting for all of us who aren’t strong enough. Yes Renee I’m with you. That’s why my enthusiasm was muted yesterday. Seen that movie. John, thanks for your personal involvement in pushing for the suicide barrier. It’s great to see it being moved from a discussion topic to to something that has been formally approved and funded. Let’s hope the inevitable delays are minimal. I really like your idea of a temporary net. So simple, I think, and yet practical. Yeah a mesh worked in the 30’s, why not now? Your efforts on behalf of Casey will save lives and save other families the heartbreak you are enduring. I was very happy to hear of this on the radio yesterday.